In 1856 Stanley Gibbons set up a counter in his father's pharmacy shop in Plymouth, selling stamps. The business moved to London, in 1891 adding a shop on the Strand where the company's retail operation remains as the world famous stamp shop it is today, housed in a late Victorian building. 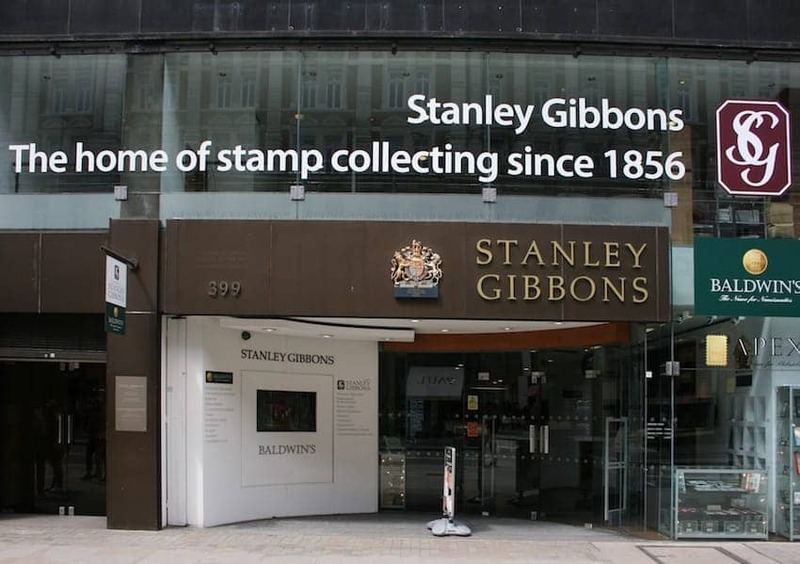 Stanley Gibbons has been the holder of a Royal Warrant for more than a century. Collectors are attracted to the catalogues, albums, accessories and specialist reference books. There are over 3 million stamps, from mixed packets to rare investment items. The shop was completely modernised in 2010.